"It has been almost two years this Thanksgiving since my mother died, almost five years since I began the Alzheimer’s Art Quilt Initiative. It started with tears, and an idea, and grew into a passion that has consumed me. I think the first quilt auction had 5 quilts in it and I sewed parts of all of them. There is a quilter right now putting the binding on our 6,000th Priority: Alzheimer’s Quilt. She (or he) has thought about Alzheimer’s with every stitch. And if they have a family member with Alzheimer’s then there were probably as many prayers as stitches in that quilt. When that 6,000th quilt is numbered and signed and slipped into the envelope to ship to the Alzheimer’s Art Quilt Initiative it carries those prayers with it. When we open the package we can feel them. They are prayers for a cure. Don’t ever think that your quilt doesn’t matter. I just wrote a check for $30,000 to the University of California, San Diego. It is the fourth research grant the Alzheimer’s Art Quilt Initiative has awarded since becoming a nonprofit. Let me tell you, signing a check with that many zeros gives one pause. I can’t help but think of all the quilts that were stitched with prayers to make that check possible. And I am so grateful. I think of my mother and how incredibly hard it was to lose her bit by bit and my heart aches for her again. I think of how many people have made my cause their own. Most of our checks have tear stains on them. 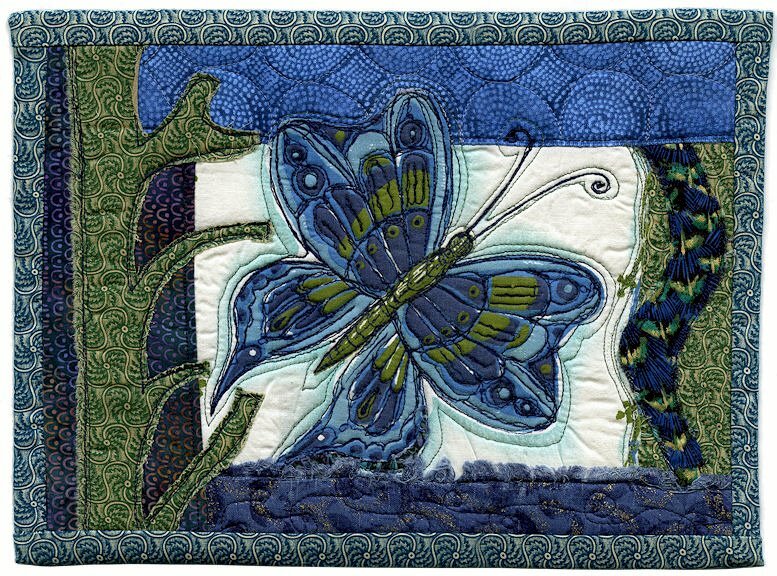 Make a $5 donation to the Alzheimer’s Art Quilt Initiative. More than 5 million Americans have Alzheimer’s disease. We need a cure. And we need it yesterday. Thank you for what you have already done, and thank you for your continued support." Click on quilt image at top to view or to bid. read about it in depth by clicking on hyperlink above. It was registered the very day my father ended up dying, mailed to Ami at AAQI on the same day that his ashes came home to rest. My mother survives him, and even with her advanced Alzheimer's, we love and treasure her deeply. Please consider making a donation or bidding on a quilt to honor the love we all have for our fathers, our mothers, our sisters brothers, aunts and uncles who face this dreadful disease. This is one well-written and blessed post, Michele; wishing great success on this effort to find a cure for a dreadful disease. You honor your parents in such a admirable way! Every time one of my blogging friends mentions the AAQI effort again I want to make another little quilt to contribute. I WISH I could figure out a way to be more productive!